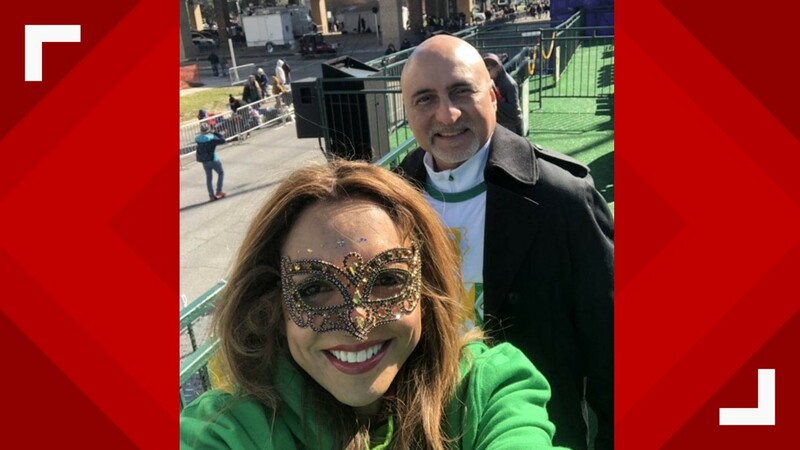 NEW ORLEANS — It was a bit cold, but clear and an otherwise awesome day for a Mardi Gras celebration and the city of New Orleans took advantage of it at every turn. 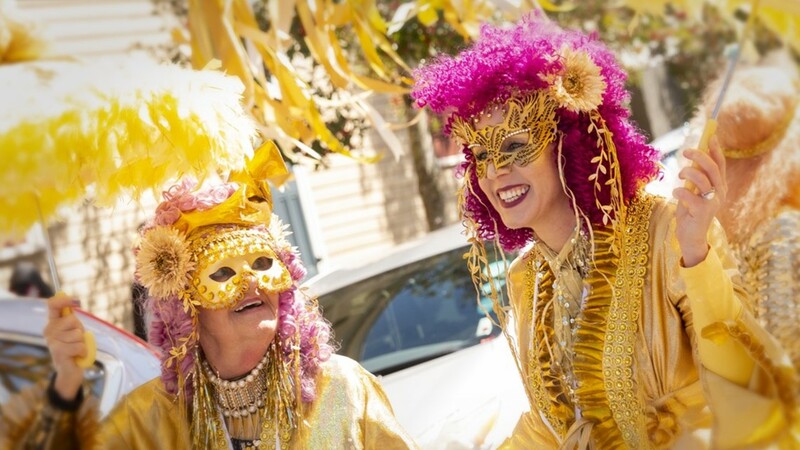 From crowds of bawdy revelers in the Marigny and the French Quarter to the family celebrations on St. Charles Avenue, in Metairie, Houma and the northshore to the Skull and Bones Krewe that start the day and the Mardi Gras Indians who traverse throughout it, it was a fabulous day. There were costumes aplenty, many magnificent in their colors and adornments. 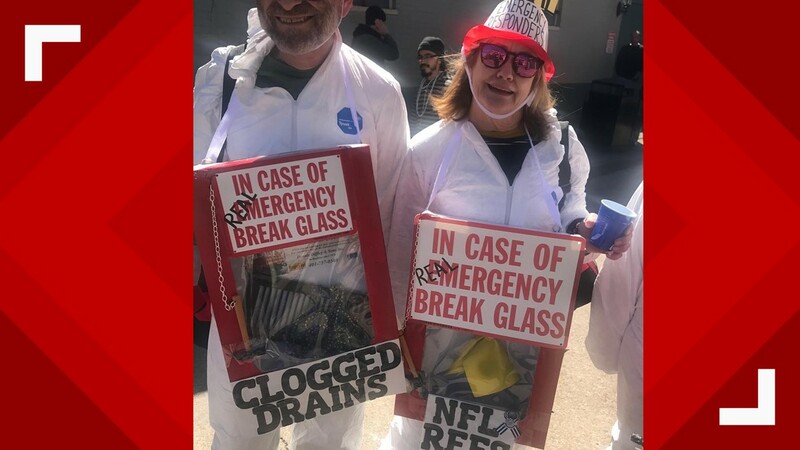 The most popular costume - by far - were of blind or disabled NFL referees, a nod to the city's belief that the New Orleans Saints were deprived of a berth in the Super Bowl when no call was made on an obvious pass interference, that the NFL later admitted should have been made. Despite the temperatures, which started the day just above freezing and which peaked under 50 degrees, the crowds turned out en masse. RELATED: The 2019 Bourbon Street Awards! Another crowd favorite is Pete Fountain's Half-Fast Walking Group. The clarinetist died in 2016 but the walking group that he led for years still meets at Commander's Palace restaurant and walks along the parade route ahead of the parades. Then the Zulu Social Aid & Pleasure Club parade along the city's famed St. Charles Avenue followed by the Rex Parade. 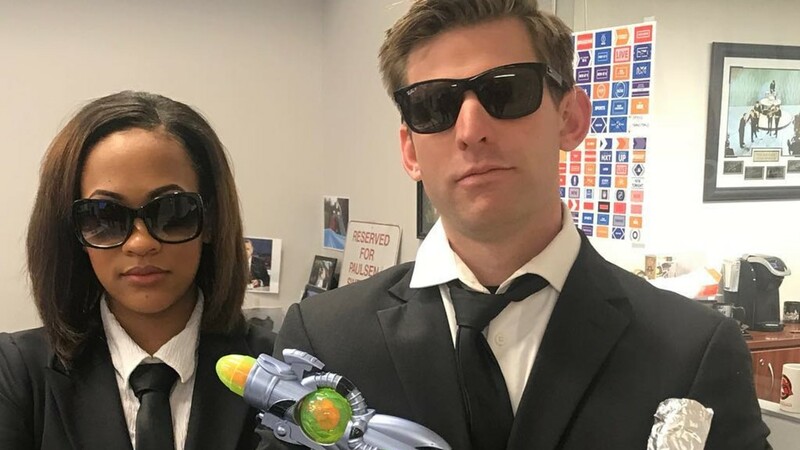 Zulu's practice of wearing black makeup during its parade has drawn attention and criticism after news that two Virginia politicians wore blackface heightened attention nationally to the issue. Zulu issued a statement in February saying their parade costumes bear no resemblance to those worn by "blackface" minstrel performers at the turn of the century and that their costumes are designed to honor garments worn by South African Zulu warriors. 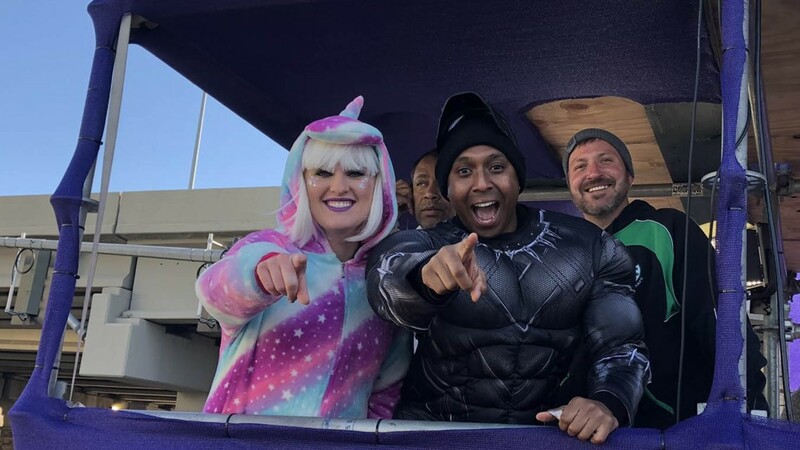 Kailyn's was accompanied by the Golden Band from Tigerland, LSU's marching band, during her ride on Mardi Gras day. It was also the first time that the Golden Band has paraded with Zulu. 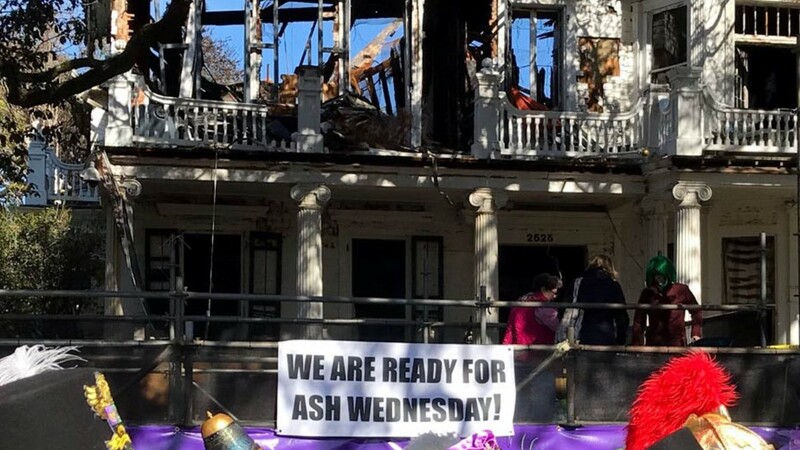 Tuesday's Rex parade is also expected to feature a stop at "The Rex House," despite a fire that heavily damaged the historic mansion. The home along St. Charles Avenue has been an important stop along the Rex parade route since 1907, and the Rex king usually stops at the house during the parade. 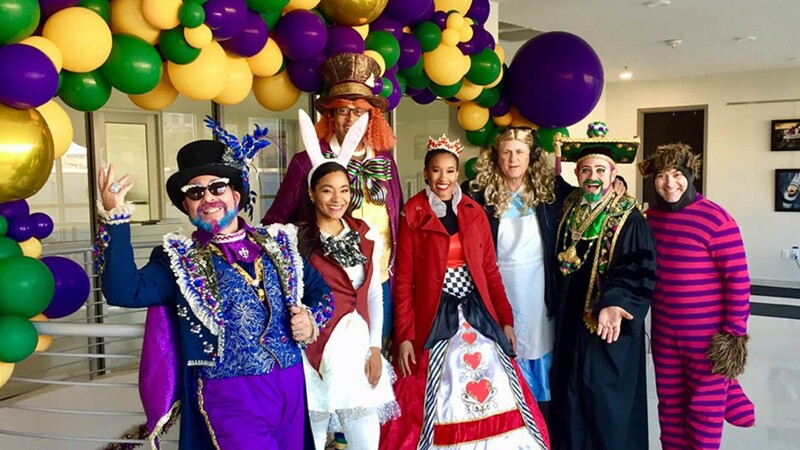 This year's Carnival season also has featured numerous jabs at the NFL and its commissioner Roger Goodell, over the now-infamous "no-call" that came during the Jan. 20 NFC Championship game between the Los Angeles Rams and the New Orleans Saints. 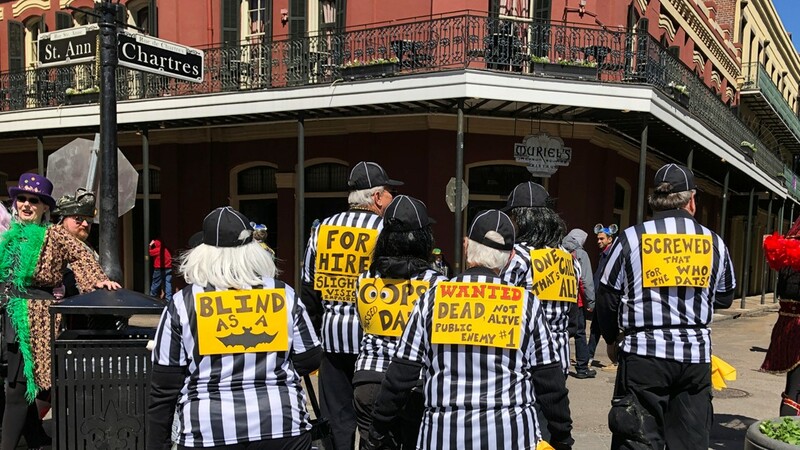 One parade featured a walking group called the "Robbin Refs" who wore referee outfits and black masks. On the back of their uniforms? A photo of Goodell with a red clown nose. 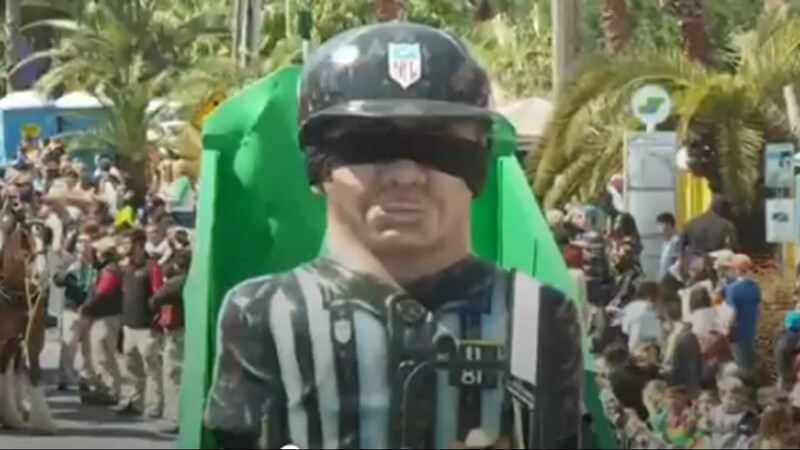 TheKrewe d'Etat parade featured a float called "Willful Blindness" with a blind referee on the front holding a cane. Many parades have also featured yellow penalty flags as throws.